Studio-A-Rama 2018 will take place during Case Western Reserve University’s Homecoming Weekend on Saturday, October 13th, outside of the Museum of Contemporary Art Cleveland, MOCA, in University Circle’s Uptown Cleveland District. 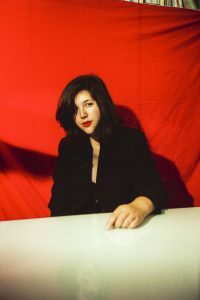 Lucy Dacus will be this year’s national headliner, sharing the stage with special guest: Land of Talk. A cash bar and food trucks will be on site throughout the day.